Gennady Golovkin has lashed out his up coming opponent Saul Canelo Alvarez. Gennady Golovkin says Canelo is one of the dirtiest opponents he has ever faced, GGG intends to make the Mexican pay for being a dirty fighter and plans to take Alvarez apart when the two collide again. Following their first battle which ended in a controversial draw last September, Saul Canelo Alvarez has since been banned for six months after failing two drugs tests. The Mexican middleweight, admitted that contaminated meat he had eaten was the reason he tested positive for banned substance clenbuterol on 17 and 20 February. 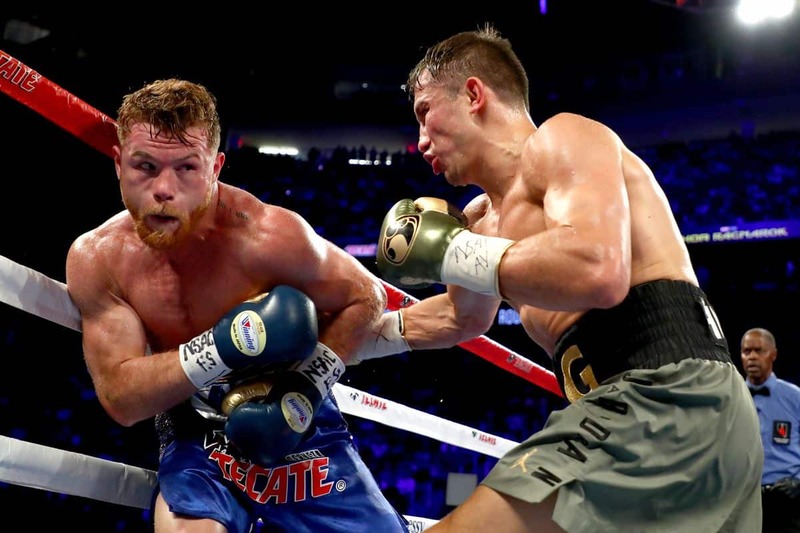 Originally Gennady Golovkin was scheduled to rematch Canelo Alvarez last September, but he was forced to withdraw once news of the failed drugs test came to light. Alvarez’s ban was backdated and so he was free to fight from 17th August. They now face each other on 15th September, at the T-Mobile Arena in Las Vegas. Gennady Golovkin is still frustrated with how the whole situation played out and plans to take it out on the Mexican when the pair meet. “We have two different styles of boxing, probably he thinks that his style is boxing, but my style is completely different. “I hope he comes out with a fighting style that allows us to finish the contest in less time,” Golovkin said.